How Long Does It Take To Stop A Wage Garnishment After You File For Bankruptcy? In most cases, immediately. There are occasions, however, in which your payroll department may still deduct the garnishment from your next paycheck after filing a St. Louis bankruptcy. This almost always occurs when your next payday follows very closely in time to the actual date of filing the bankruptcy petition. So for instance, if the next time you are set to be paid is Friday, and your case is filed the day before (Thursday), then it is possible that your payroll department will make the deduction. This is because of internal procedures that it must follow that have nothing to do with your bankruptcy. But even if the scenario described above does play out, the amount deducted on Friday will still be returned to you (because creditors are not entitled to funds after your bankruptcy is filed). This is true whether you file a St. Louis Chapter 7 bankruptcy or a St. Louis Chapter 13 bankruptcy. The most important factor to keep in mind is that once your Missouri bankruptcy is filed, the garnishment comes to an end. When you file a bankruptcy, you are assigned a case number. This number is your unique identifier, and signals to the world that you are under the protection of the Bankruptcy Court and federal law. Your case number is generated immediately, and always starts with the last two digits of the year that you filed (for example, if you file in 2012, your case number will begin with 12). If you have a wage garnishment, your bankruptcy attorney will supply this number to the creditor who is garnishing you. Once the creditor receives this number, it will send what is called a “release of garnishment” to your payroll department, who will then remove the deduction from your paycheck. 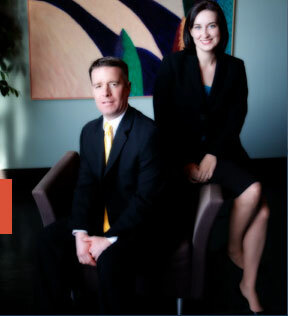 The experienced, affordable St. Louis bankruptcy attorneys at Brinkman & Alter, LLC have been providing assistance to people for over ten (10) years. Our goal is to make sure that you are in the best financial position possible to move forward with your life. If part of this goal includes getting rid of a wage garnishment, then we will make that our highest priority. We have two locations: in the Central West End, at 1 North Taylor, St. Louis, MO 63108; and in Crystal City / Festus, at 1000 Truman Blvd (on Highway 61/67). Call today to learn more about our free initial consultation.